The Loft is our newest venue. We launched this space in the fall of 2016, and it has quickly become a favorite among many. It has a more casual, urban feel to it. This venue has a live worship band and the message is video fed into the space. 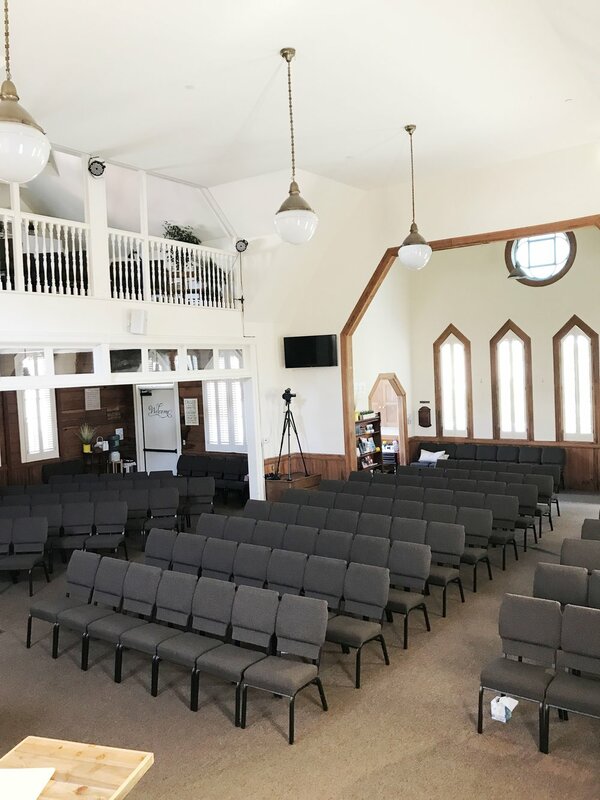 The Loft is located in the building directly behind the Sanctuary. The Sanctuary is Harvest's original worship venue. It is one of the most loved historical buildings in the Village of Arroyo Grande, and was built in the late 1800's. It has a ton of charm, history, and beauty and has more of a classic feel to it. The sermon and worship are both live in this venue. If you would like prayer for anything, we have a prayer team beside the stage every Sunday after church--they will be wearing "Prayer Team" lanyards and would love to pray for you! If you'd like prayer at any time, feel free to send us an email at prayer@agharvest.org. We are committed to providing a fun, safe, loving environment for children to learn about the amazing love of God. Tender, loving care is provided for our littlest ones in a safe, welcoming environment, while exciting, interactive Bible stories, hands-on projects and worship are available for the older ones.